LEE ENERGY SYSTEMS (LES) is a developer and provider of unique drilling and completion technologies. These include a hydraulic perforating system for perforating all sizes of casing and liner. 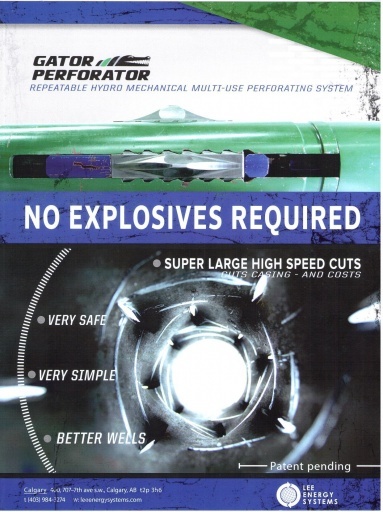 These tools operate hydraulically so no explosives are used or required. 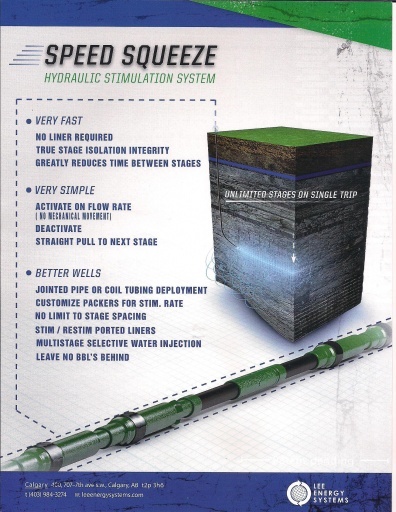 Founded by Mr. Paul Lee - inventor and designer of the patented downhole tools, LES is a new name to the industry but incorporates a long standing traditions of “solid designs that simply work."